Includes all gaskets, gasket glue, stove cement, steel wool and instructions. New Keystone/Palladian stainless steel scoop kit. Please click on the part for complete details. KS/PA Combustor Box Bottom for the older ceramic combust ors and the original stainless steel combust ors. They don't need to be ordered with the current style combustors. KS/PA Combustor Box Top. This is for the older ceramic combust ors as well as the original stainless steel combust ors but they are not needed for the current stainless steel combustors that already have a frame around it. 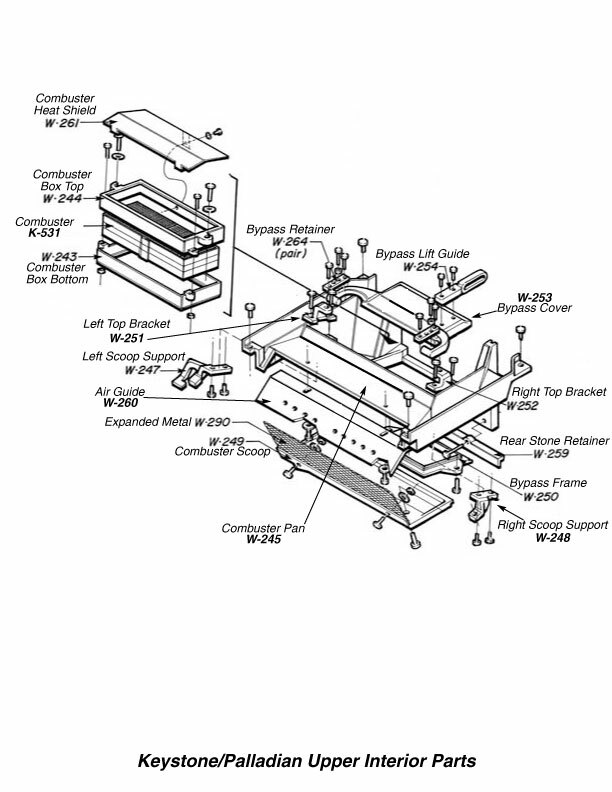 W-247 Fireview, Keystone, Palladian Left Scoop Support Please consider ordering new K-801 (Fireview) or K-805 (Keys/Pall) scoop kit. W-248 Fireview, Keystone, Palladian Right Scoop Support Please consider ordering new K-801 (Fireview) or K-805 (Keys/Pall) scoop kit. 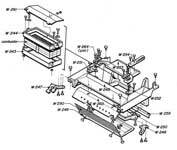 W-253 Fireview, Palladian, Keystone Bypass Cover - please click on the product name for important information.